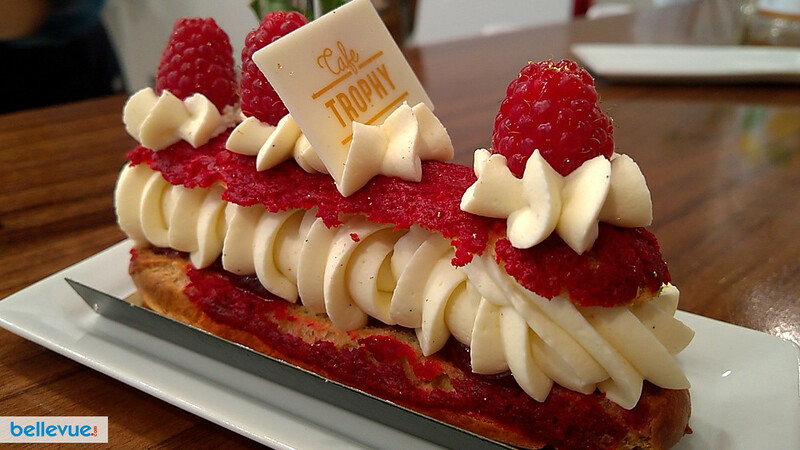 Cafe Trophy is a grown-up bakery-cafe-champagne bar offering sweet and savory treats from morning till night. 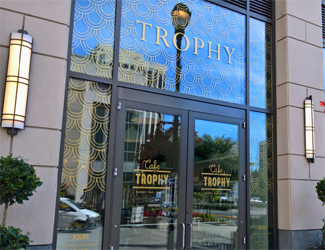 The new concept cafe from beloved Trophy Cupcakes & Party offers Trophy's award-winning cupcakes, of course, as well as a gorgeous array of French-style pastries like macarons (available in 10+ flavors daily, including lavender latte, PB&J, and citrus Earl Grey), cannelles, and croissants. 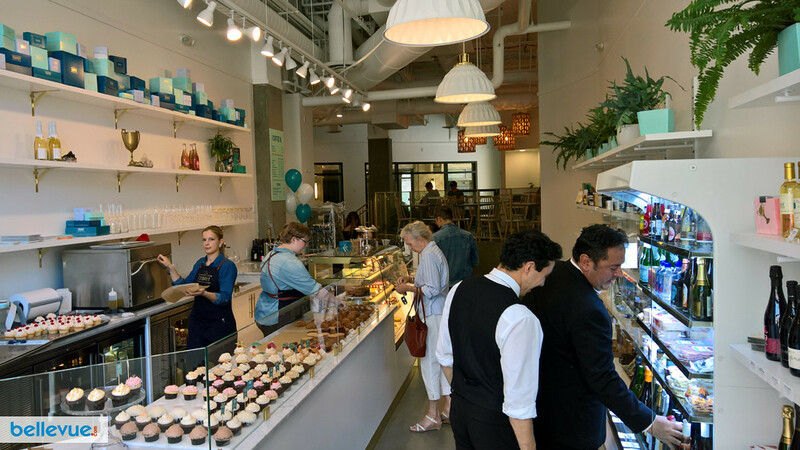 Standouts in the pastry case include a milk chocolate malt passion fruit torte, buttermilk Bavaroise with guava gelée, and playful lemon olive oil "twinkies." 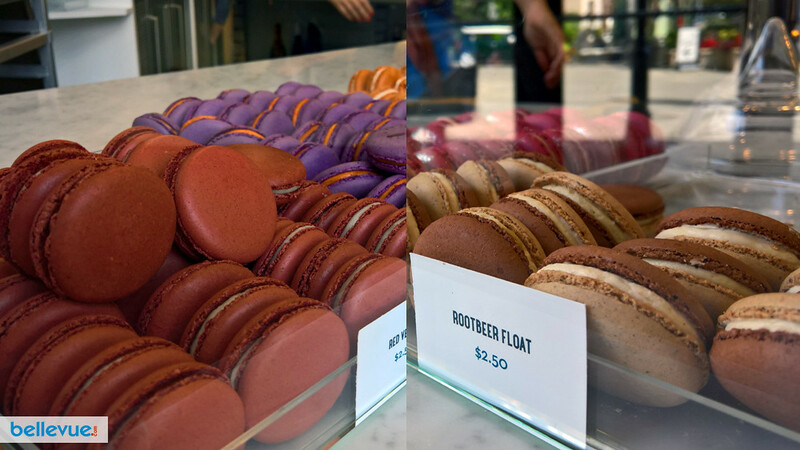 There are also sablés and American-style cookies. The morning menu includes house-made granola and yogurt parfaits with Ellenos yogurt, as well as quiches. 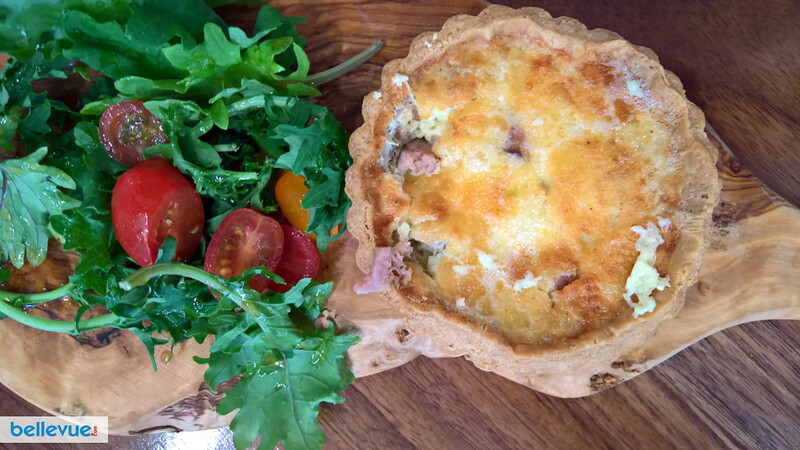 Lunch brings savory puff pastries and spreads with grilled flatbread, plus the quiches stick around. There are sandwiches too, like a croissant BLT, a turkey sandwich with old-school pimiento cheese, and The Frenchy, a classic ham sandwich with cornichons on a buttered baguette. Salads too: a Kale Caesar with croissant croutons, the Trophy Cobb, and owner Jennifer Shea's favorite beet salad. At night, bountiful cheese and charcuterie platters are served on handmade olivewood boards and some additional small plates make an appearance. The wine and beer list, curated by Marc Papineau of Bar Ferd'nand, highlights family-owned domains, leaning toward a more natural style of production with a special attention to grower/producer Champagnes. There's even Prosecco on tap! 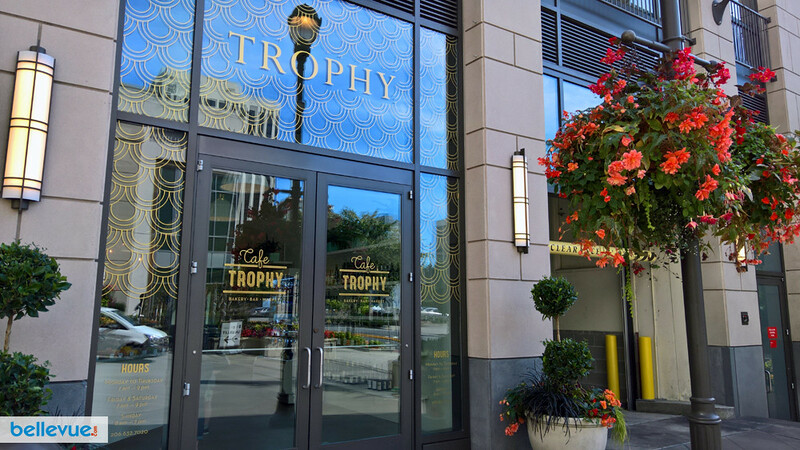 Cafe Trophy is located at 700 110th Avenue Northeast, Suite 195 in The Shops at The Bravern in Bellevue. The 2,000-square-foot space is gorgeous and bright, with marble countertops contrasted against a lacquered cement floor and dark, warm wood. 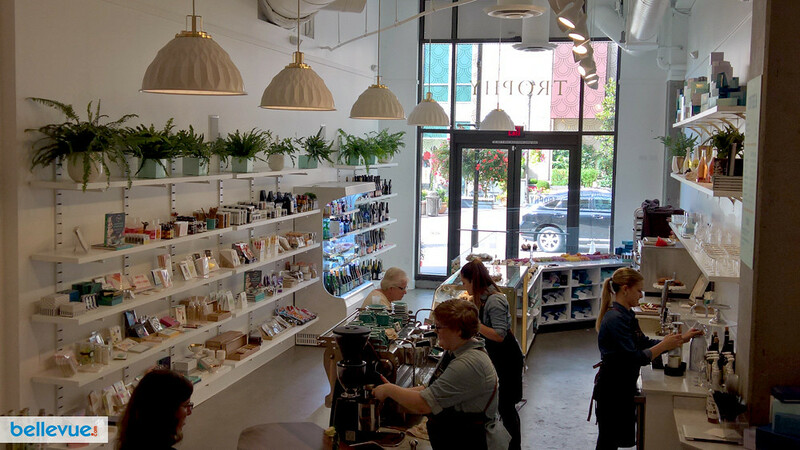 Gold accents adorn the shop, from the railings up to an elevated seating area to the chair legs and drawer pulls. There's seating for 40 at a mix of tables, bar stools, and even a few cozy couches in a perfect lounging corner. The classic Trophy blue shows up in the chic new pastry boxes and little details here and there.